I have a WERES 20 ft toons & 16 foot interior. I need a new steering console. Which one cause it’s small? You would need to measure the Steering cable you currently have or the available space. Since our products are universal, we recommend comparing your measurements to the ones we have listed on our webiste. Unfortunately, we do not offer the Sun Deck Cushions. We do over Pontoon Seat Vinyl sold by the running yard and 54" wide to match any seating you may have purchased from us. Do you sell covers for these as well? 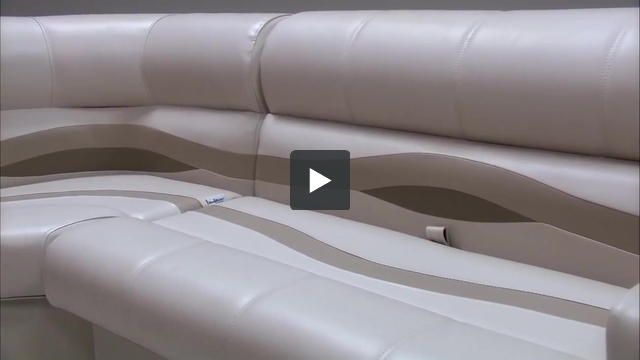 Unfortunately, at this moment we do not offer any Cover for our Premium Pontoon Boat Console. Yes, depending on the measurements of the throttle size. I would recommned comparing the measurements of the console and make sure there will be enough space available. The measurements of the face are located in the featured pictures above. 1-How many pieces does this come in ? 2-Does the top half lift off ? 3-my old console stores the battery in the Bottom. Is there room for that ? 1 - It will come with 2 total pieces. The Pontoon Console itself, and the vinyl covered access panel. 2 - The top half of the Pontoon Console does not lift off, as it is one entire unit. 3 - It is going to depend on the measurements of your battery. I would take a look at our featured picture that lays out all the measurements of our console and compare them. That should help determine if you battery will fit inside. Can the throttle control be attached to this unit? Yes. Unfortunately, it can only mounted in the front of the console. If you look at the pictures in the featured pictures, it will show you a layout of what items can placed on the Premium Large console. Do you sell the blank Gauge plate for this helm? Yes we do. You can choose it as an option from the drop down menu when you purchase the helm. If you have already ordered and would like to order the Blank gauge panel for the helm please feel free call us and we will get you taken care of. Can I order just the front panel? Can I install a binnacle control on the face of this console? Yes, it is possible to mount a binnicale control on to the face of the pontoon boat console. Do you have a visor for the console? Unfortunately, we do not have a visor for this pontoon console at this time. Can I get the console without any color in the removable panel. Just need it in white. 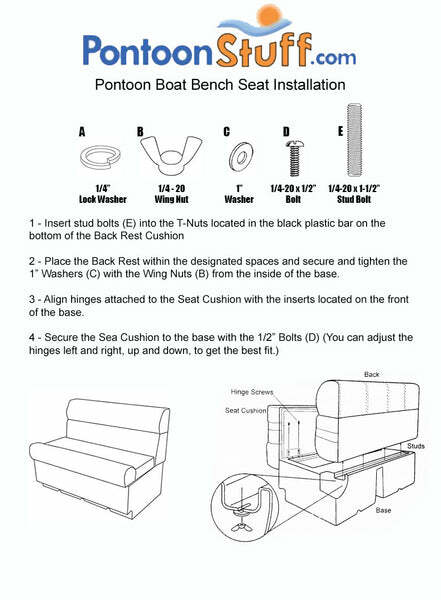 I'm sorry but we only have the pontoon console avaliable in the colors listed. We do sell marine vinyl by the yard and you could recover the front panel in white vinyl. Looking to update my old pontoon, but I want to know if this console would fit a subwoofer box inside it? hard to tell from the pics, but the dimensions seem a bit small to do that. It might be a little small for that. I know some customer have placed them in the seat base or even went with our larger helm that has plenty of room in it. You will not need plywood. We have designed this pontoon console to be strudy enough to handle your steering wheel and any other items you would like to mount to it. Could I return and get a different one if I don't like it? Yes. You would have 90 days from the purchase to decide if you would like to return it. You would however be liable for the return shipping costs. Will this console accommodate a radio? Yes, This pontoon boat console will accomdate a marine radio. What are part numbers for blank gauge panel and rocker switch panels that fit in this console. This Console base is open. You will able to access the inside from the access panel that is to be installed on the front. I’m thinking about ordering a cover for my 25 ft pontoon....is there room for the center poles and if so, how much are the poles? Yes, unfortuantely, we do not offer the poles. Or, Cover Support Sytem that you referring to. You will need to purchase that elsewhere. How much does this helm weigh? This Premium Pontoon Boat Console weighs roughly 62 lbs. Can you put a battery in the console? I believe that there is enough room for a standard battery. Will the throttle control assembly mount to the side of this pedestal? Yes, you can mount the control assembly to the side of the Pontoon Console. Are the mounting brackets etc. included or do I need to order those? Are there instructions included? Yes these come with the wood screws to mount this Console to deck of the Pontoon. Does this just fit over the old one that’s there? Would I need to re hook all the controls or is this just a shell? Yes. This is just a shell. You will need to remove all components and add them to this console. What do you recommend for cutting holes in this console? There are many ways to cut holes in the Plastic Console. We have used a sawzall here in our showroom. That would depend on the measurements of the assembly you have. That way we can measure it and find that out for you.